Size: 102 x 62 cm. (40 x 24½ in). 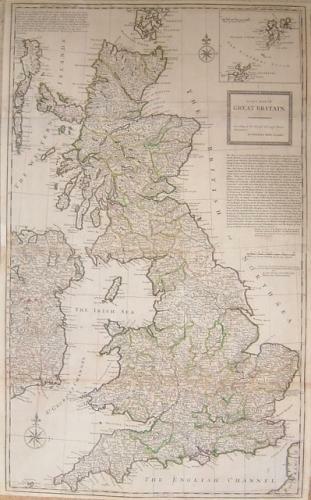 Title: 'A New Map of Great Britain According to the Newest and Most Exact Observations'. An intricate and large map of the British isles with coloured outlines of the counties. The map has a few small repairs as shown and is on heavy laid paper. Slight wrinkling at the top. Overall very good.